Why should I choose Angel Broking to open an online trading account? Angel Broking provides Angel Eye – a trading platform that offers its investors a trading account that has multiple benefits. You can even get updates on price fluctuations and market news at night. The 1987-founded financial company also assures you easy trading in liquid markets. Opening a trading account at Angel Broking is beneficial as it provides efficient money management and lower brokerage fees. The stock-broking and wealth management company also provides free access to multiple online trading products. If you need any advice or help, a customer service representative will guide you and solve your queries. You can also avoid manually transferring funds from your savings account. The trading account does that for you. You can trade financial instruments like equities, IPOs, mutual funds, etc., through a single platform. Does Angel Broking provides online commodities trading account? Yes, Angel Broking has an Online Commodity Trading account. You can trade commodities through the user-friendly, simple and effective interface. Angel Broking also provides intensive research and knowledge, thus enabling you to harness the potential of the commodity market. You can also take delivery of some commodities like agriculture, gold and silver. 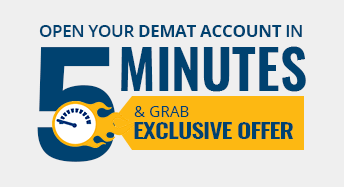 In order to trade in commodities, you will have to open a Demat account, in case you don’t already have one. Trading in commodity futures are an attractive option as it offers high liquidity and helps in risk management. Trading through an online commodity account gives you greater leverage, thus increasing your potential to earn higher returns. Can I open an online derivatives trading account with Angel Broking? Yes, Angel Broking has an Online Derivatives Trading account. Investors have to submit financial proof to open such an account. Documents required for this are your bank statement, a copy of the Demat account holding statement, net worth certificate, copy of Form 16 in case of salary income, copy of Annual Accounts or copy of ITR Acknowledgement. Opening an online derivative account is beneficial as it helps you earn high profits by paying a nominal charge. You can trade through a derivative account by futures and options. Futures are financial contracts where two parties agree to either buy or sell an asset, such as any financial instrument, to another party at a predetermined future date and price. Options are similar to that of futures except that the parties have the right, not the obligation, to buy/sell. Can I open an online currency trading account with Angel Broking? Yes, Angel Broking has an Online Currency Trading account. You can buy and sell world currencies and benefit from the variations in the exchange rates of those currencies. Due to increase in trade and foreign investments, many world economies are getting integrated. Investors can therefore benefit from such exchange of currencies, by taking advantage of the movements in the foreign exchange market. Currencies are normally executed in pairs, e.g. EUR/USD, AUD/USD, USD/CHF, USD/CAD, NZD/USD, etc. Online currency trading is as highly beneficial as it is instantaneous. You don’t have to wait days for the execution and settlement of the trade. You can have online access to your account and trade anytime, anywhere. Currency trading does not involve middlemen. Its transaction costs are low and does not involve insider trading. 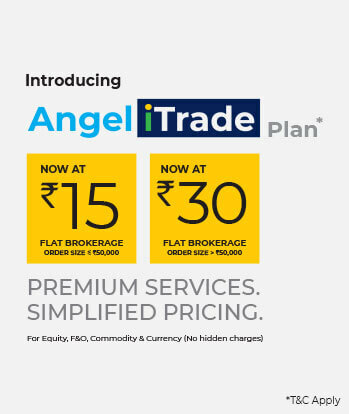 Does Angel Broking offers a trial trading account? Angel Broking provides the facility of a trial account so that new investors can learn to trade without actually losing money. In order to sign up for the Angel Broking Trial account, you have to register for an account, login to your account, and identify ticker symbols for stocks by reviewing securities. Your account will reflect virtual money and you can now begin trading in the virtual stock market. The trial account helps you get first-hand experience of stock market without facing any risks. You can buy/sell securities at real-time market rates. You can also get the latest stock market research reports and deepen your understanding on the proper use of trading platforms. Is Angel Broking’s trading account most cost effective? The charge for opening an online trading account at Angel Broking is nil. You can visit the site www.angelbroking.com and fill up the Account Opening form and then start trading securities, stock, gold, ETF’s, currencies, etc. Angel Broking offers the following products for trade—online Forex Trading account, Online Commodities Trading account, Online Currency Trading account, Online Equity Trading account and Online Derivatives Trading account. Using these accounts, you can trade anytime, anywhere. It offers a single platform for your exchange. Thus, trading becomes less cumbersome as the need for managing various accounts is eliminated. Trading through a trading account is also a cost-effective method. Who can open a securities trading account with Angel Broking? Anyone who wishes to trade in the securities market can do so, provided he has opened a Demat account and a trading account. An individual can open a trading account or a Demat account by submitting an Account Opening form, along with identity proof and address proof. You can provide your voter’s ID, PAN card, driver’s license, passport or bills as identity proof. As proof of address, ration card, driving license, bank passbook, voter’s ID, electricity bill, telephone bill, etc. can be submitted. Individuals who wish to trade securities need to have a savings account as well. Savings account is required to transfer/receive money when you buy/sell shares through your trading account. It is advisable to trade in securities once you are well versed with the fundamentals of trading. Also, there is no minimum amount defined as to how much you can invest in securities. You can buy as many shares, bonds, equity option bonds and other securities as you wish.